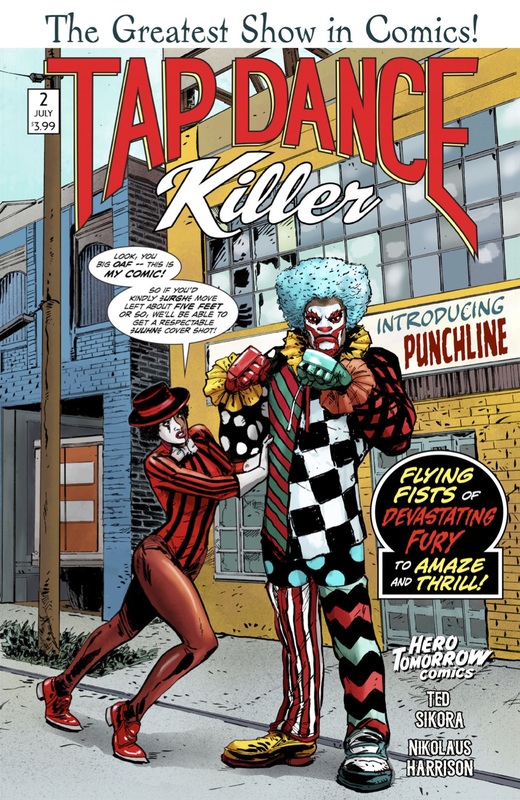 If you're looking for a series that's a bit off-kilter (in an entertaining way), you won't go wrong with Tap Dance Killer. It centers around a theatre troupe that is performing a horror show musical when the cast is doused in a mysterious, mystical concoction, which locks them into their characters and grants them powers. And they soon find themselves pitted against a small army of gangsters in a crime war. 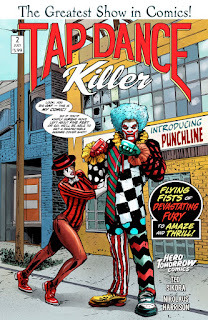 The title character is Nikki St. Clair, a beautiful young woman who somehow harnesses her dancing skills into unbeatable fighting abilities - and she finds herself teamed up with a massive fighter who goes by the name Punchline. The story by Ted Sikora walks the line between anarchy and poetry, as art and crime collide in an odd and unique way. The art is by Nikolaus Harrison, and I like it a lot - the character designs are clever, the layouts are fresh and the environments are nicely realized. This isn't for young readers - it's a bit violent and offbeat - but mature readers looking for something original will like it!